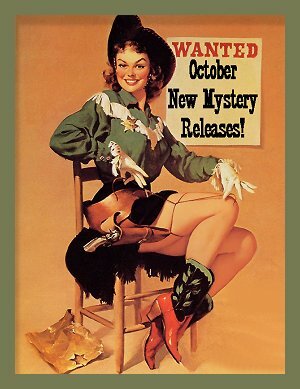 October 2017 New Mystery Releases! For the month of October, my eyes were almost bigger than my stomach, at least when it comes to reading. So many good new books. So many available advance reading copies. Yikes! But I remember the year in which I burned out on those advance reading copies. I promise publishers and authors to have my reviews of their particular books up either on the day of their release or within the following two days. If I accept too many of these, it's like having a tall pile of assigned reading, and that can make me grumpy. Reading isn't nearly as much fun when you have to do it in a certain order and with deadlines. No grumps are allowed here, so I'm going to get right down to it. The following books are my picks of the new crime fiction being released throughout the month of October. They are grouped according to their release dates, and I hope that you'll be able to find a title or two (or three) that tickle your fancy. Book covers and synopses are courtesy of Amazon. Now-- let's get this show on the road! Series: #9 in the Barker& Llewelyn historical series set in 1890 London. Synopsis: "In 1890, the first Japanese diplomatic delegation arrives in London to open an embassy. Cyrus Barker, private enquiry agent and occasional agent for the Foreign Service Office, is enlisted to display his personal Japanese garden to the visiting dignitaries. 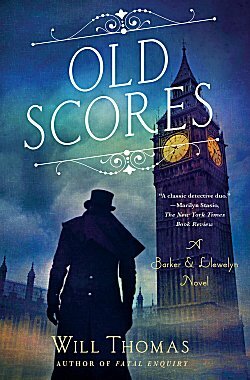 In a case that takes leads Barker and Llewelyn deep into parts of London's underworld, on paths that lead deep into Barker's own mysterious personal history, Old Scores is the finest yet in Will Thomas's critically acclaimed series." Series: #4 in the Max Rupert police procedural series set in Minneapolis, Minnesota. 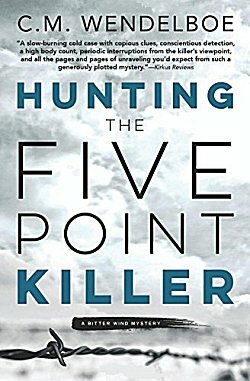 Synopsis: "Homicide Detective Max Rupert never fully accepted his wife’s death, even when he believed that a reckless hit-and-run driver was to blame. Haunted by memories both beautiful and painful, he is plagued by feelings of unfinished business. When Max learns that, in fact, Jenni was murdered, he must come to terms with this new information—and determine what to do with it. On a frozen lake at the US–Canadian border, he wrestles with decisions that could change his life forever, as his rage threatens to turn him into the kind of person he has spent his entire career bringing to justice." 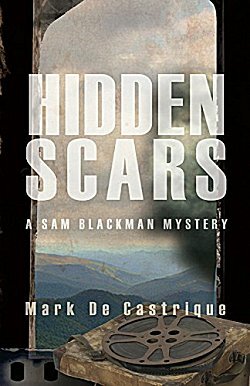 Series: #6 in the Sam Blackman private investigator series set in Asheville, North Carolina. Synopsis: "When Asheville, NC, private eyes Sam Blackman and Nakayla Robertson are asked by an eighty-year-old client to investigate the suspicious death of her brother, they warn her there is little chance of success. Paul Weaver died nearly seventy years earlier. The only documentation she has is the sole surviving copy of a coroner's report stating his death was caused by an accidental fall while hiking. There's a red flag: local son Weaver knew every inch of the mountain trails. The returning World War II veteran had enrolled at Black Mountain College, a liberal local school with an international reputation for innovation, thanks to its stellar faculty and advisers like Buckminster Fuller and Albert Einstein. The college of the 1940s is currently being portrayed in a film being shot on the site of its former location. The plot is based on a book by a local author. The research behind both may provide a lead in the Weaver case. One is drawn from movie crew member Harlan Beale, an octogenarian mountaineer who knew Weaver. In a late-night voice message, Beale tells Sam he's found something to show him. Then Beale is discovered dead in the Black Mountain College Museum. His murder turns the cold case white hot. 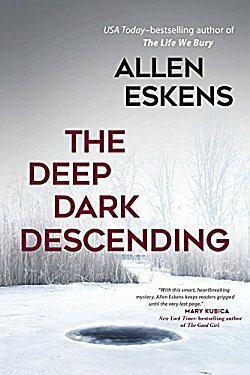 When a second killing follows, the question becomes how to separate dark doings in the present from dark days and hidden scars of the post-war past. In typical de Castrique fashion, the answers aren't what you expect. No-nonsense Nakayla and veteran Sam with his prosthetic leg love their investigations which always carry a thread from the past, and love each other. An interracial couple in the South, even the new South around Asheville, they've surrounded themselves with a terrific support team including an unorthodox lawyer and a veteran cop, and use humor both to bind them all together and to deflect insults. Plus, it helps deal with the tragedies their work uncovers." 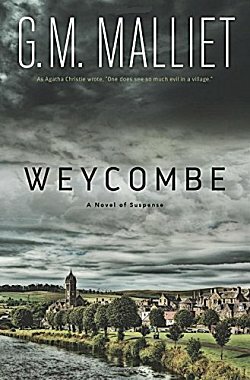 Literary Mystery, Standalone, set in the county of Surrey, England in the present day. Synopsis: "Living in the gated, wealthy village of Weycombe with her titled English husband is a fantasy come true for American Jillian White. But the murder of a local estate agent mars the so-pretty surface of her life and home. Worried about a killer on the loose, Jill tries to piece together clues hidden in the many versions of truth she hears from her suspicious neighbors. As Jill plunges deep into the investigation, her own suspicions grow into a warped web of lies and treachery. From award-winning author G.M. Malliet comes a gripping psychological tale of murder and deception in which few can be trusted and nothing is as perfect as it seems." Series: #4 in the Asperger's Mystery cozy series set in New Jersey and California. Synopsis: "Samuel Hoenig, proprietor of a business called Questions Answered, doesn't have strong feelings about his estranged father. After all, you can't miss what you never had. But when Samuel's mother receives an enigmatic letter and asks him where his father lives, Samuel is duty bound to provide an answer. Unfortunately, answering this question means taking a trip to Los Angeles with his associate, Ms. Washburn. 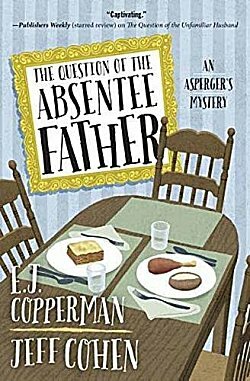 The personality traits of Asperger's Syndrome make flying across the country a major challenge for Samuel. Little does he know that as troubling as flying is, it's nothing compared to the danger they'll face when they land." Series: #1 in the Bitter Wind mysteries featuring former Denver homicide detective Arn Anderson and set in Wyoming in the present day. Synopsis: "Retired detective Arn Anderson never thought he’d be broke enough to take on a cold murder case. Or desperate enough to team up with a TV reporter. Or pathetic enough to go back to his rundown childhood home after he swore he’d left Cheyenne for good. But here he is, hunting a serial killer who also appears to have come out of retirement. On the anniversary of the Five Point Killer’s crimes, Arn’s only option is to survive the carnage of a murderer who may be too twisted―and too brilliant―to catch." Series: #1 in the Maytubby/Bond police procedural series set in Oklahoma. 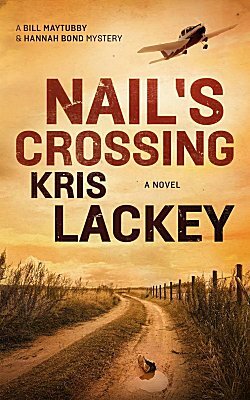 Synopsis: "This debut mystery from a fresh voice in Southwestern fiction stakes out the common ground between Tony Hillerman, Elmore Leonard, and Cormac McCarthy. A fluke lead propels Maytubby deep into Louisiana's bayou country, where a Cajun shrimper puts him on the scent of a bizarre conspiracy. He and Bond reunite in the Chickasaw Nation for the eventual face-off at Nail's Crossing." Series: #2 in the Isaiah Quintabe private investigator series set in Los Angeles. Synopsis: "For ten years, something has gnawed at Isaiah Quintabe's gut and kept him up nights, boiling with anger and thoughts of revenge. Ten years ago, when Isaiah was just a boy, his brother was killed by an unknown assailant. The search for the killer sent Isaiah plunging into despair and nearly destroyed his life. Even with a flourishing career, a new dog, and near-iconic status as a PI in his hometown, East Long Beach, he has to begin the hunt again-or lose his mind. A case takes him and his volatile, dubious sidekick, Dodson, to Vegas, where Chinese gangsters and a terrifying seven-foot loan shark are stalking a DJ and her screwball boyfriend. If Isaiah doesn't find the two first, they'll be murdered. 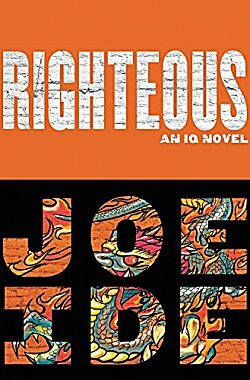 Awaiting the outcome is the love of IQ's life: fail, and he'll lose her. Isaiah's quest is fraught with treachery, menace, and startling twists, and it will lead him to the mastermind behind his brother's death, Isaiah's own sinister Moriarty." Series: #6 in the Detective Kubu police procedural series set in Botswana. 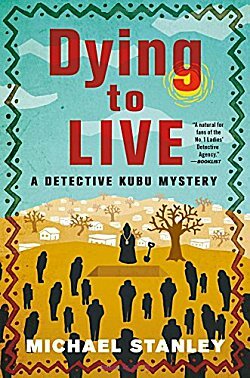 Synopsis: "Michael Stanley's Dying to Live is the sixth crime novel to feature the humble and endearing Detective Kubu, set against the richly beautiful backdrop of Botswana. A Bushman is discovered dead near the Central Kalahari Game Reserve in Africa. Although the man looks old enough to have died of natural causes, the police suspect foul play, and the body is sent to Gaborone for an autopsy. Pathologist Ian MacGregor confirms the cause of death as a broken neck, but is greatly puzzled by the man’s physiology. Although he’s obviously very old, his internal organs look remarkably young. He calls in Assistant Superintendent David “Kubu” Bengu. When the Bushman’s corpse is stolen from the morgue, suddenly the case takes on a new dimension." Synopsis: "Finally: the perfect stocking stuffer for the crime fiction lover in your life! 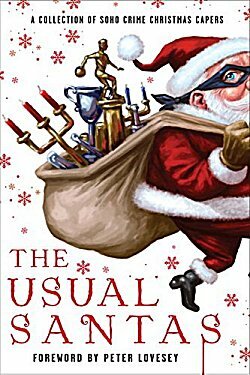 With a foreword by CWA Diamond Award-winner Peter Lovesey, these eighteen delightful holiday stories by your favorite Soho Crime authors contain laughs, murders, and plenty more. Helene Tursten, Mick Herron, Martin Limón, Timothy Hallinan, Teresa Dovalpage, Mette Ivie Harrison, Colin Cotterill, Ed Lin, Stuart Neville, Tod Goldberg, Henry Chang, James R. Benn, Lene Kaaberbøl & Agnete Friis, Sujata Massey, Gary Corby, Cara Black, Stephanie Barron and a Foreword and story by Peter Lovesey." Series: #1 in the Nora Pennington cozy series set in North Carolina. Synopsis: "Miracle Springs, North Carolina, is a place of healing. Strangers flock here hoping the natural hot springs, five-star cuisine, and renowned spa can cure their ills. 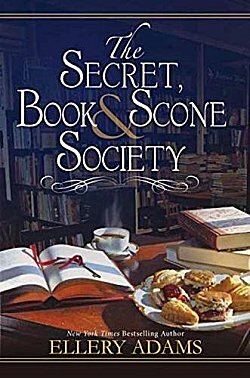 If none of that works, they often find their way to Miracle Books, where, over a fresh-baked “comfort” scone from the Gingerbread House bakery, they exchange their stories with owner Nora Pennington in return for a carefully chosen book. That’s Nora’s special talent—prescribing the perfect novel to ease a person’s deepest pain and lighten their heaviest burden. Determined to uncover the truth behind the businessman’s demise, the women meet in Nora’s cramped and cozy bookstore to share stories and trade support. And as they untangle a web of corruption, they also discover their own courage, purpose, and a sisterhood that will carry them through every challenge—proving it’s never too late to turn the page and start over . . ."
Series: #6 in the Mainely Needlepoint cozy series set in Maine. 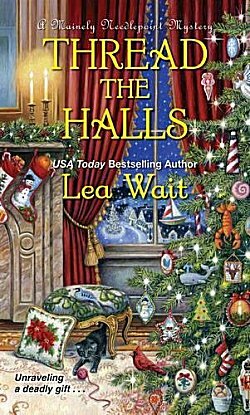 Synopsis: "This Yuletide season, there's no time for Angie Curtis and Patrick West to linger under the mistletoe. Patrick's being needled by his mother—movie star Skye West—to set the stage for a perfect white Christmas as she brings her costar, screenwriters, and director home for the holidays. With his mother's long list of wishes, Patrick's becoming unraveled. To help, the Mainely Needlepointers offer to decorate Skye's Victorian mansion and create needlepoint pillows as gifts for the guests. But not long after the celebrity celebrants invade Haven Harbor, an unscripted tragedy occurs. Then some questionable Christmas cookies make Patrick sick. Before Santa arrives at the town pier on a lobster boat, Angie and the Needlepointers need to trim down the naughty list, catch a cold-hearted killer, and wrap up the case . . ."
A strong batch of new books for the month of October, isn't it? There's even a couple of titles to get us ready for Christmas. Which books did you add to your own wish lists? Inquiring minds would love to know! Oooh, a new Detective Kubu novel!! Some authors here, too, whom I haven't yet 'met.' This all looks really interesting, Cathy - thanks. I'm always excited to see a new Kubu mystery! Thanks for this new list and summaries. It's overwhelming. I want to recommend a book: Attica Locke's new one, probably the first in a series, "Bluebird, Bluebird," set in east Texas. Very good Texas Ranger character, African American. Sense of place is terrific, as is character development. The racism in that area is palpable, and the life of rural African Americans in that area is described so well one feels like one is there. A friend who lives in Houston raved about this book, so I got it from the library and began it. Nothing will be done until I finish it. I watched a portion of Locke's event at The Poisoned Pen via Livestream, and she certainly made me want to read her book. I was talking about her with a friend when I went to see Harlan Coben. The sense of place should be terrific because Locke is East Texas born and bred. Her family has been there for a long time. Yes, my friend in Houston knows Locke's father, who became a local politician, and she went to a reading by her in that city. I learned a lot from her new book, and wish I was sitting in a cafe she is writing about, talking to its owner. Glad you could see part of her event at the PP.